Those of you who've stuck around here for a while have witnessed my transformation from an adamant audiobook denier to a born-again audiophile. Nowadays, I always have an audiobook going in addition to whatever I'm reading in physical format. 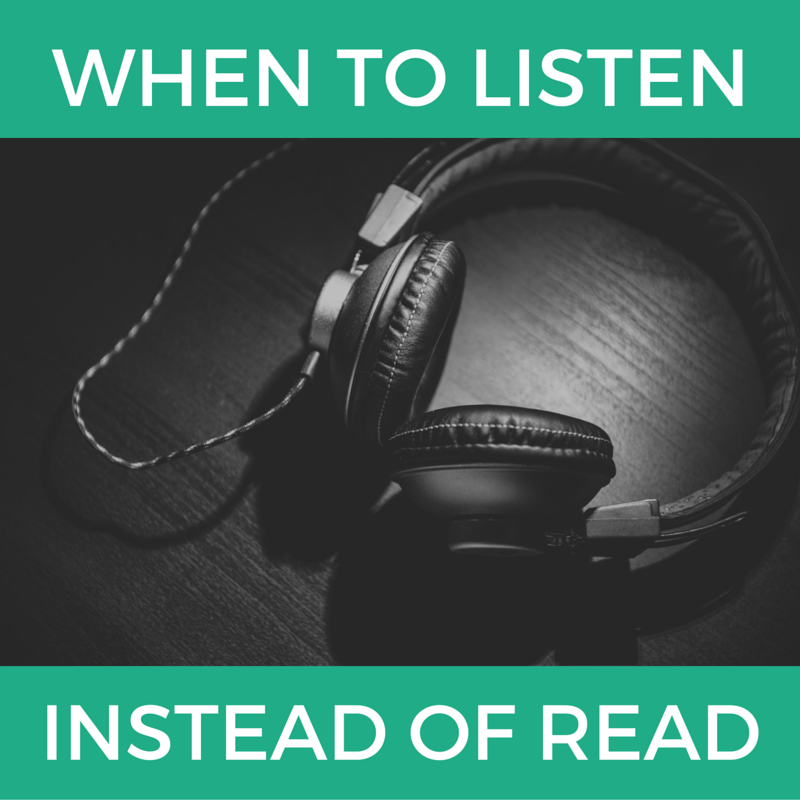 After listening to more than 15 books in just under a year, I've noticed a few specific situations in which audiobooks work better for me than their print brethren. I want to note that everything I am about to say is very dependent on a book's narrator. I have been lucky so far to avoid any truly terrible (or even lackluster) performances, but even the most wonderful book will suffer at the hands of a sub-par narrator. (This is Captain Obvious, reporting for duty.) I have wanted to read The Killing Moon by N. K. Jemisin ever since Julianne started raving about it. Despite having the print copy out from my library for months now (yes, some libraries have check-out periods that long, may your hearts be still), the story just hasn't clicked for me in print. After listening to and loving Jemisin's The Fifth Season, I realized that her stories may flow better for me in audio format. I'm happy to report that I'm an hour into the audiobook of The Killing Moon and foresee smooth sailing from here on out. The next time you aren't getting into a book and can't put your finger on why, consider giving the audio version a shot. Lush prose certainly works well for audiobooks (hello again, The Fifth Season), but I find that narration can make the biggest difference when you're dealing with leaner writing. Nnedi Okorafor's Who Fears Death is an excellent example of a book that I may have abandoned had I read it in print. Okorafor's story of a young sorceress on a journey is gripping, but her straightforward writing style might have lost me if I'd had to use my eyes to read it. Read aloud by the fabulous Anne Flosnik, Okorafor's short, simple sentences crackled with life. I felt the same way about Donald Sutherland's narration of The Old Man and the Sea, which I had previously abandoned mere pages from the end. In the past, I have been wary about listening to nonfiction rather than reading it. What if there are fascinating details that I miss? Now that I've got two long but worthwhile nonfiction listens under my belt—Alexander Hamilton by Ron Chernow and NeuroTribes: The Legacy of Autism and the Future of Neurodiversity by Steve Silberman—I can safely say that I would never have remembered all of those details no matter the medium through which I consumed them. I also firmly believe that the narration helped carry me through some of the denser sections that I might still be wading through in a print copy. 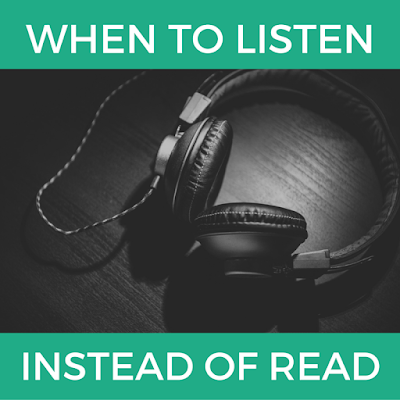 What makes you pick up an audiobook instead of a print/digital copy?